Enhanced skills and special interests in: Non-Surgical Periodontal Treatment to manage gum disease. Root surface debridement with local anaesthesia. Tailor-made oral hygiene advice. Monitoring and screening of dental caries. Application of topical Fluoride and Fissure Sealants in order to reduce Dental Caries. Tooth Whitening. Smoking Cessation Advice. About her: Yana graduated from the Eastman Dental Hospital School of Hygiene in 2011. 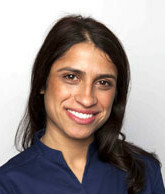 After gaining experience in private practice in Central London for 2 years and keen to develop her skills in treating advanced gum disease she moved to a specialist dental practice in Knightsbridge working alongside a world-renowned periodontist. Yana continues to maintain high standards of dental hygiene care by currently working with one of the UK’s most prominent aesthetic and cosmetic dentists in London Bridge. She recently published an article on the Hygienists Management of Tooth Erosion in The Primary Dental Journal for The Faculty of General Dental Practice (UK) Promoting Excellence in Dentistry. Yana has been working happily at Platinum Dental Care for 3 years receiving patients for all level hygiene care and welcomes patients who come through direct access without the need of a dental check up. At work, am a highly motivated and focused dental professional who pride myself on my thoroughness and concern for my patients well being. I believe that taking time to talk to patients explaining dental disease helps them understand about their oral healthcare and general health. A big achievement for me has been working for charity Dentaid in Nepal where I set up an emergency dental clinic for families with little or no access to dental care.